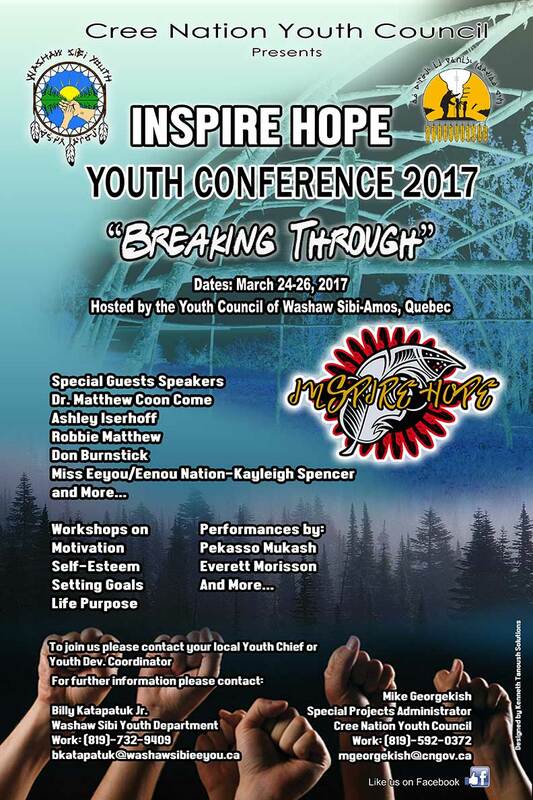 The 2017 Inspire Hope Youth Conference was hosted by the Youth Council of Washaw Sibi from March 24-26, 2017. The Inspire Hope Youth Conference is a gathering of Cree Nation’s Youth, to ignite inspiration to fulfill their wildest goals and Dreams. To offer hope we all can make difference for a better tomorrow! We, Cree Nation Youth Council wish to thank you for joining us.